"Growing Quality Bromeliads Since 2003"
Established in 2003, our nursery specializes in growing quality bromeliads for the landscape and garden center wholesale industry. 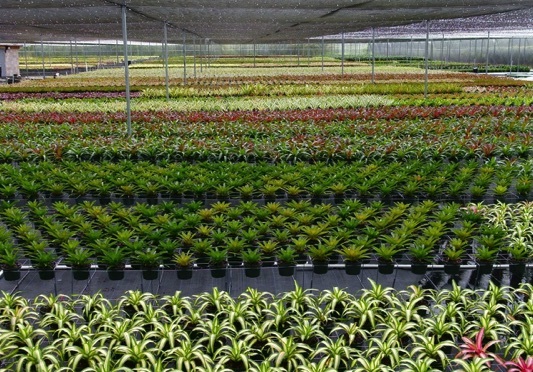 Our 20 acre bromeliad farm is located in Miami, FL, and features over 400,000 s.f. of bromeliad shadehouse production. We grow a wide variety of bromeliads in many different sizes and colors. As a California/Arizona certified nursery, we ship throughout the United States and abroad. Please contact us if you would like to learn more about our company and products. Wholesale price list is also available upon request.